In 2007, the U.S. Postal Service sold its first "Forever" stamps, which pictured the Liberty Bell, for 41 cents each. 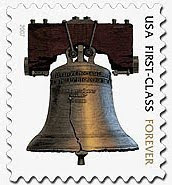 These were marked "USA FIRST-CLASS FOREVER", indicating that the stamps would always be sufficient to pre-pay the first class rate, regardless of how much the rate increased in the future. Recen tly, the U.S.P.S. 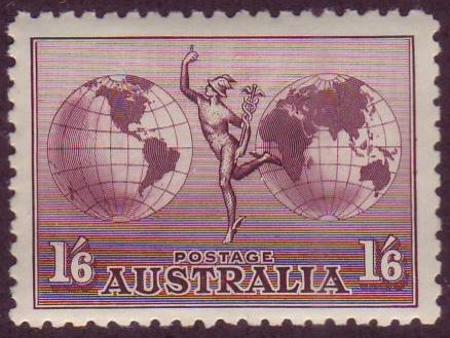 decided that, beginning in 2011, all first-class stamps will be Forever stamps. Both frequent mailers and collectors have sometimes pondered the question of whether Forever stamps are a good investment. My response is that, in general, they are probably not. Over the last 80 years, postal rates have increased at a compounded annual rate of approximately 3 1/2% per year. 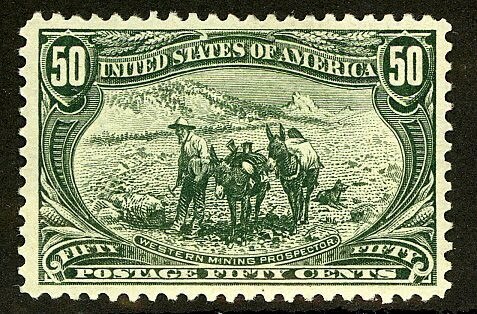 This is about the same as the average annual inflation rate for the U.S. over the last 100 years (3.43%), implying that the buying power of the cost of a stamp has remained pretty much the same. 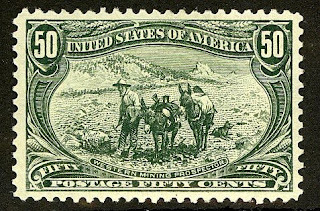 Furthermore, as any U.S. collector with some experience with the stamp market knows, it is often possible to purchase large quantities of "discount postage", either from dealers or through stamp auctions, at 85% to 90% of face value. Dealers pay about 30% less when buying it wholesale. Undoubtedly, this will also be the case with Forever stamps. However, there may be some instances in which the inflation-linked rates of Forever stamps could give some added protection to the philatelic investor. Every once in a while, the Postal Service issues a souvenir sheet or booklet in lower-than-normal quantities. Those speculating on such items will benefit from the fact that even if collector demand does not increase for what they've purchased, their purchase's value will be linked to future rate increases. The same applies to those who purchase plate number strips and other positional items, and it also holds true if other countries hop on the bandwagon, and issue such stamps in low printing quantities.